Are Raw Eggs Good for Flowers And Plants? It is well known that eggs are a powerhouse of nutrients for human beings. They are cheap, compact, easy to make and full of vitamins and minerals that are essential to healthy human growth. It would stand to reason that eggs could do the same for plants, as they need a lot of the same vitamins and nutrients that people do. This is true to an extent, but for the most part using raw eggs with plants is a dangerous gamble. It is not safe for humans to eat raw eggs because of the pathogenic bacterias that can be found in eggs, such as salmonella. The same holds true for plants. Anaerobic bacteria or bacteria that thrive in low-oxygen environments, are not all dangerous, and some can actually be beneficial. However, plants are susceptible to a number of pathogenic anaerobes and using raw eggs in the soil can encourage the growth of these dangerous bacteria. 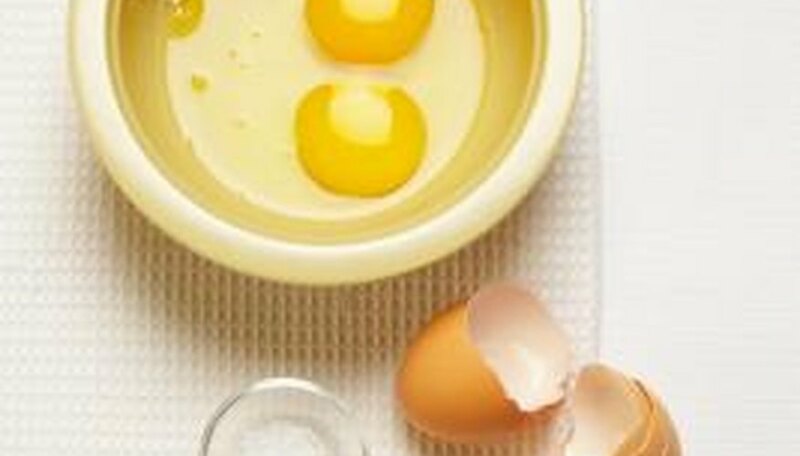 Though anaerobic bacteria are by and large dangerous to plants, raw eggs can encourage the growth of two probiotics, Rodobacter and Rhodopseudomonas purple bacteria. These bacteria are common in soil near plant root systems. Plumeria, a tropical plant with a shallow root system that can be hard to establish, has been shown to grow far stronger root structures when raw eggs have been added to the soil in which the plumeria is grown. This is a result of the eggs promoting the growth of the aforementioned anaerobes. Many gardeners believe that eggshells are wonderful for use in the garden. They are believed to add nutritional value to the soil, deter slugs, provide extra aeration and drainage to the soil, and attract wild birds. As far as aeration and nutrition for birds is concerned, there is little debate, but eggshells in the compost or in the soil actually are not effective in adding nutrition to the soil, according to a 2005 Auburn University study. The 2005 study by Auburn University agronomist Charles C. Mitchell, studied the efficacy of eggshells in the soil. Eggshells are purported to add plant available calcium to the soil and balance out soil pH levels. The study found that whole eggshells were ineffective to this end, as were hand-crushed eggshells. Eggshells did, however, do both of these things when crushed into a fine powder, but only when crushed into a powder, as only can be done mechanically.